Our debut album “Om” is already available. It has been a two-year-journey. During this time, I had the opportunity to meet talented musicians and graphic designers, to learn in the process and to make new friends. The musical experimentation was one of the ingredients, but the most important one was to give the best of myself with the help of different musicians. In the process I discovered another musically aspects in myself. The final result was not just what I wanted, but it was just better than I thought! Fabulae Dramatis’ music sounds experimental, fresh, it has reminiscence from the past involved in a present package, it has a taste of many cultures and it still keeps heaviness and beauty in itself. Booklet Designed by Carlos Jácome Lobo. Cover album designed by Marcela Bolívar. I am definitely delighted in all of the perspectives, it is something personal of course, but I would like to believe you might discover it by yourself. Also on Spotify for streaming. In Metalzone webshop and in the shops in (Antwerpen, Leuven Vosselaar and Baal). So here I am, after a considerable period of time spent working on this bright-colored and multi-cultural album, having the result in my hands, and wondering how this will come up when we finally give birth to it. According to the official Fabulae Dramatis statements, the album Om is to be released soon. All of you, fellow music lovers and exotic experimental sounds fans, soon will have the magic box in your hands, with a detailed booklet. However, I feel like sharing some of my thoughts and reveal what was hidden behind the curtain of sound production and music creation for more than a year of our work on this musical piece. I knew that the sound and the conception of ‘Om’ must be different from all that I have done before. We were sure to invite numerous musicians to create a variation in the music and let more personalities give their touch to what we later would merge into one calico pled of progressive rock masterwork. The first 2 songs I’ve received were “Whine” and “Kein Schmerz”. 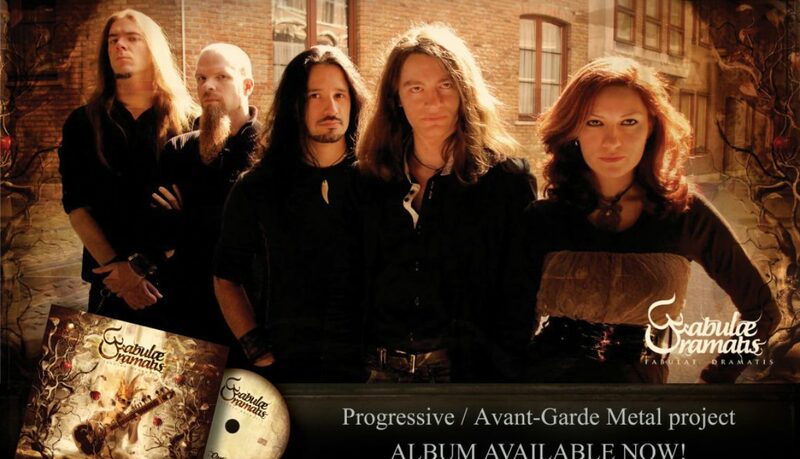 “Whine”, designed as an almost classic metal ballad, involved Isabel’s first line up, with Andrés Camilo Silva and Juan Carlos Robles, who were working with Isabel’s previous project, Spiritual Ashes. 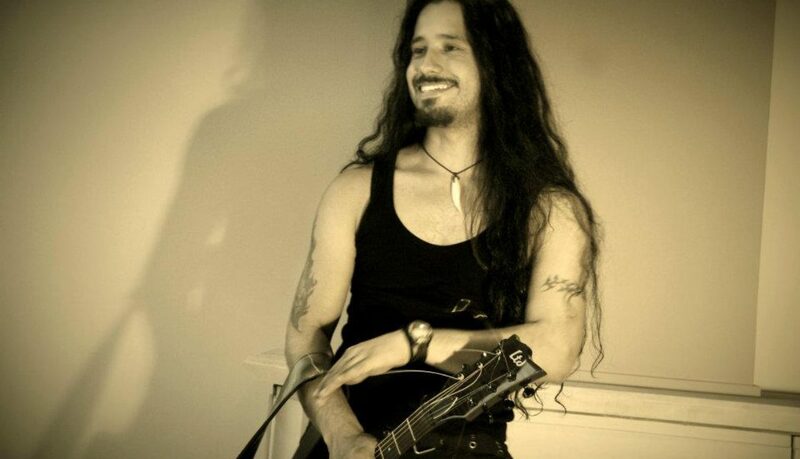 Daniel Díaz, who later would become one of the main songwriters on the album, provided pretty impressive acoustic guitar layers and Isabel herself surprised me with Sitar additions to the classic metal genre and her husband, Erik Vochten, brought some low-pitched spoken word part. This song, which I made as a stylization of very early metal experiments, was published at the first, and despite that I still do not think it represents the album as it is, in all the shades, it still provides a nice experience to the listener. “Kein Schmerz”, an emotional piano ballad, was the second to come. I shall not say a lot about this piece of music, so that you will have the chance to enjoy it yourselves. 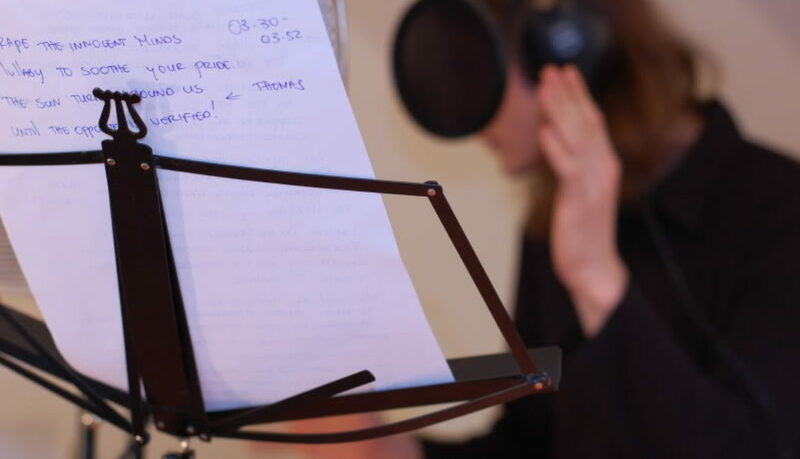 Later on, I was asked to take my part in songwriting and arranging of the songs – several more of them we have created together with DanielDíaz at Isabel’s small, cozy, private home studio. I was rather impressed by Daniel’s ideas and brought them into the entire arrangement to fulfill the sound with many details. At the same time I came to the general conception of the sound. While my main instrument on the album is bass, I also took part in the recording, playing some guitars, as well as some keyboards and other small details here and there. For the songs “Labyrinth” and “Vigil”, I wrote almost all the parts and recorded most of the instruments myself. At this point, when the project’s conception was crystallized, we invited a master drummer, pretty well-known on Belgian progressive metal scene, both by his incredible technique and his fabulous beard, Steve Vanderperren. He easily dealt even with the most sophisticated drum parts, so our collaboration was set. A very special word I must say about the 6 minute epic “Ixquic”, whose lyrics contain a piece in original Mayan language – sung by Isadora Cortina, a Mexican singer with a Norwegian heart, well-known on the metal scene by her work with Ancestral Legacy. The song, inspired by an ancient legend of Popul Vuh, consisting of several musically and stylistically different parts, from ambient trip hop to authentic prog and even flamenco classical guitars, which we managed to merge into one solid composition. For several compositions, including the brilliant up-tempo opener, “Bastion”,we invited Thomas Hubert, a huge, long-haired metal Viking from Liège, whose growling and screaming should please the ears of fellow metal lovers while his looks will please the eyes of aesthetically sophisticated metal ladies. One of the most personal songs on the album, dedicated to the complicity of love collisions and choices, wrapped into the metaphor of fog-walking, ”Vigil”, obtained additional charm from the bombastic vocals of fellow progressive rock singer Nick G. Coward. On this, and several other songs, Isabel had played a harmonium, an instrument, whose wailing, sad sound can pierce through you better than any synthetically created tone. I shall not say much about several other beautiful pieces, forming the heart of this album: the aggressive, yet elegant “Neelakanta”, based on the part of Hinduistic myths about Shiva; the almost traditional folk song “In the Woods”, which gained a magical touch and wings from David Rivera’s violin. And, at last, “Quaerens Quem Devoret”, a classical metal song, twisted by personal lyrics and sung in duet by Isabel and the Colombian metal beast Juan Carlos Henao. I must also say a thankful word to all the other collaborators of the album, who brought their special touches and spirit into what we have done. All of them are present on our webpages, all of them are mentioned in the album’s booklet, all of them did amazing jobs, regardless of the instrument and amount of time included into the project. Traditionally, as a producer and as a composer, I prefer to finish albums in a very special way, put the point, ask a question, let the listener think of the answer, long after the last note has faded. Such became “Zeergentiin Shil”, a haunting, half-instrumental composition, that came upon me after listening to the extremely emotional Mongolian native singing from Bolorchuluu. Her strange, modulating voice along with my keyboards/bass improvisation and a touch of Vietnamese jaw harp from Dimitry Boyd, created a certain musical statement, a coda, closing the album the way I think it should be closed, leaving us, musicians, and you, listeners, with thoughts and wonders from this small musical journey. The journey we went on together. Preview of the album’s booklet. Designed by Carlos Jácome, photography by Mariya Frantseva. David Rivera is a talented musician born in Medellín, Colombia, raised in a family of musicians, he learnt how to play violin at the age of eight. 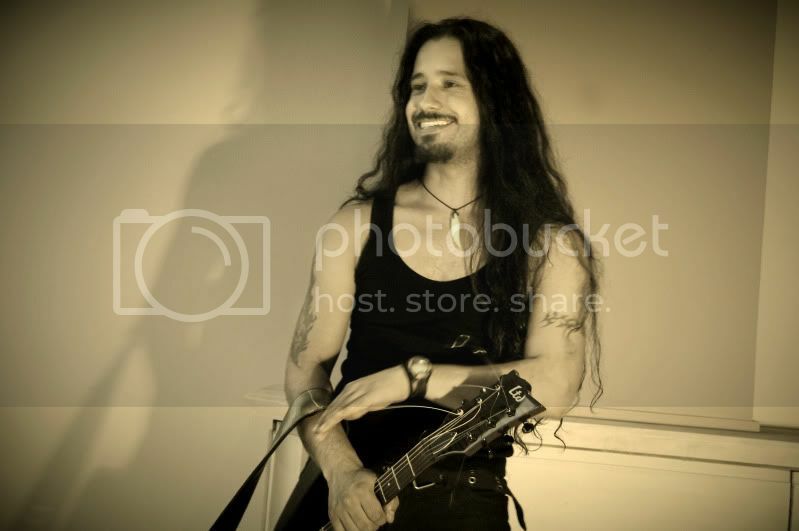 David participated in several local bands and founded the rock- gothic metal band “Tenebrarum” in 1990; is a violinist of the “Philharmonic Orchestra of Medellin” and member of the music project “D’ Violines”. In 2011 he finished his studies in music at the “Adventist University”. 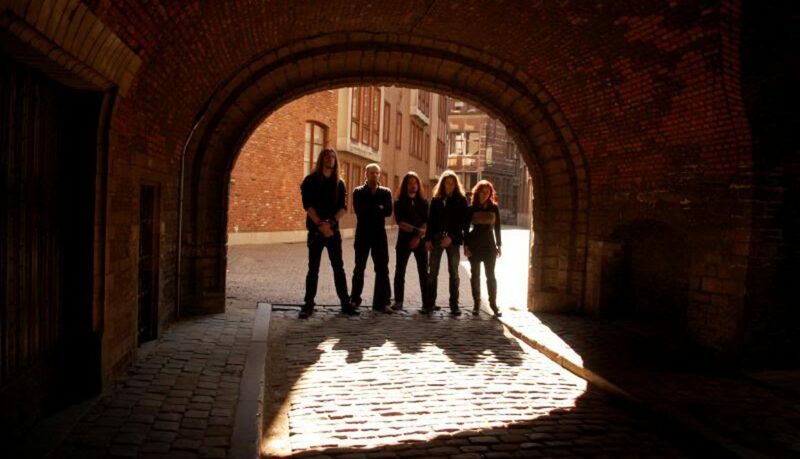 “Tenebrarum” is a fusion between classical music and metal, using instruments such as the violin and guitar, bass and drums along with key environmental sounds. Over nearly a two-decade career, this band produced already eight albums, showing great sound evolution, through various creative stages. Recent work has demonstrated the band’s versatile adaptability to merge into string arrangements for chamber orchestra and female voices without losing its origin in metal. 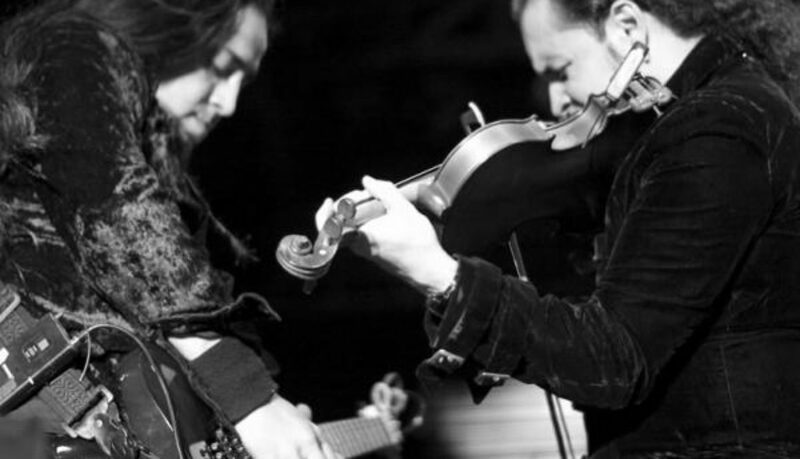 Using a five string electric violin, David participated in Fabulae Dramatis’ songs “In The Woods” and “Quaerens Quem Devoret”, giving them a deeper sensible touch. Juan Carlos Henao is a sound engineer and architect born in Medellín, Colombia. He participates in “Tenebarum” as guitarist, vocalist and producer and is involved in several musical projects. Juan Carlos’ voice is powerful, rough though clean, even between the screams and growls. The expression of anger and agression are the main characteristics of his role in our song “Quaerens Quem Devoret” . His participation was probably the most waited, because we needed a vigorous Spanish-speaking growling voice, and to have his contribution in our project has been a valuable experience for us. Introducing Bolorchuluu and Nick G.Coward, guest singers. Bolorchuluu Ulziibat was born in Mongolia in 1980. She learned the mongolian traditional singing technique “Long song”, (declared Masterpieces of the Oral and Intangible Heritage of Humanity by UNESCO) and in which she won her first national medal at an exceptional age of 8 years old. In 2002 she finished her studies at the Mongolian State University of Art and Culture. One year later she went on a tour in France and Belgium with “Khan Bogd” ensemble. In 2006 she toured with them again in Luxembourg and 2011 with “Hosoo and Transmongolia” in Ghent and Antwerp, where she now resides. Bolor sang an ancient song named “Zeergentiin shil”, which tells a story about a rider who lost his two horses. 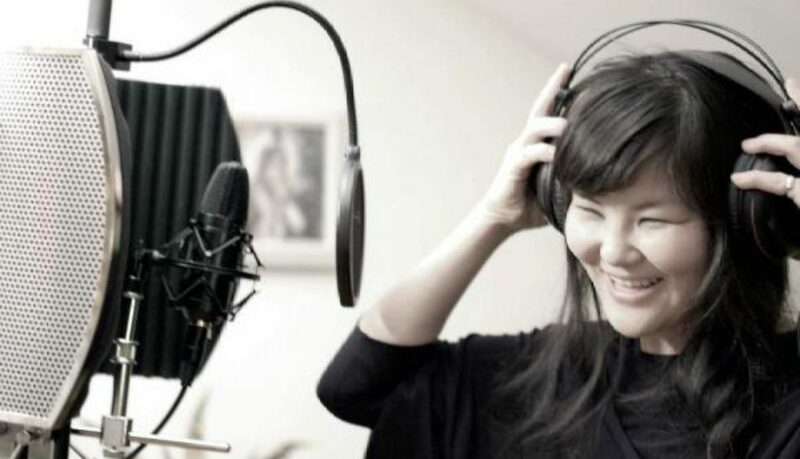 The plentiful vibration of her voice represents the breathtaking mongolian culture, revived by Fabulae Dramatis. Pictures Bolorchuluu by Mariya Frantseva. 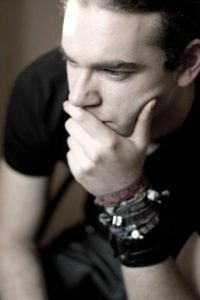 Nick G. Coward is a freelance musician born and raised in North London, England. He was introduced to music at very young age. His mother and grandfather were keen musicians. Consequently, music reverberated daily all around the house, thus becoming the predominant influence in his life. Nick’s first love was the bass guitar. When he was 16 years old, he played bass and did backing vocals in a local rock band, covering songs from “Free” and “Deep Purple”. The band developed into “False Prophet”, playing original progressive Rock music. He improved his abilities over time and became the main singer, lyricist and vocal lines composer. On the recent “False Prophet” album entitled “Finally” you can listen to his operatic, soaring vocals. More recently, in between projects, Nick has written a lot of his own material on acoustic guitar and has an albums worth of songs ready to be recorded. He is also making an A-capella album, using only his vocal assets, with six part vocal harmonies as his musical instruments. Nick loves a wide range of musical genres and currently focuses mainly on his vocal skills. Other interests are fine portrait drawing and martial arts. “Vigil” is the track where Nick’s voice appears, enriching the song with a third tessiture and keeping a clean atmosphere during the piece. 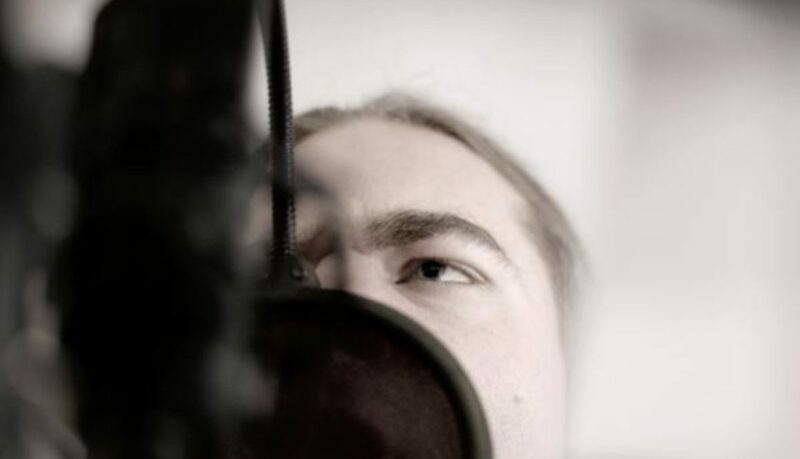 Nick recorded his vocal contribution in Wasaw, Poland, which is now his main residence. His collaboration has been an interesting experience. Daniel Díaz, Between The classical, The roughness and The Psychedelia. Daniel Díaz was born in Bogotá (Colombia) in the early eighties. He started to play guitar at the age of 15. His passion for music brought him to an academy for classical music and after he completed school, he continued studying music at The University of Bogotá. This armed him with the tools to form his first metal band called “Suacam Fernom”. The genre that they played was black/experimental metal. After three years, Daniel got the opportunity to study in Spain. There, “Suacam Fernom” was revived with a new line-up. They recorded a demo and played live, but the band broke up in the end, due to personal matters. Fate brought Daniel to find new horizons in Belgium. Here, he joined “Stog” (“Seven Tongues Of God”) a metal band from the south of Belgium, which is actually active. After a year and half, Daniel met Isabel Restrepo who, casually, was looking for a guitarist to collaborate on her personal project. After recording some tracks with Isabel, Daniel became an active member of Fabulae Dramatis. Daniel’s guitars compositions give to the project the best balance between the metal riffs and the classical acoustic guitar melodies that definitely contrast in a particular way with Hamlet’s psychedelic electric guitars. That has become, from our point of view, a special Fabulae Dramatis attribute. All pictures by Mariya Frantseva. 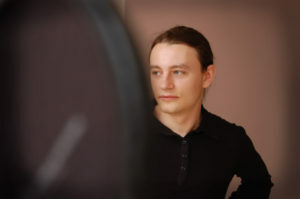 Thomas Hubert is the growl singer of a Belgian orchestral black/death metal band called “Orion’s Night”. He also participates in a groove death metal band named “Exostosis”, which is about to record its first demo. Hubert joined Orion’s Night in July 2010 to replace the previous singer. He played his first live concert just 3 days after joining the band, without having performed live or even sung before. Hubert has a powerful and dark growling voice, which has been just the perfect touch that Fabulae Dramatis was looking for. Combined with some hard rock and dramatic voices of Hamlet and Isabel, Thomas’ screaming chant is the deepest catalyzer to get the desired final result, which you can listen to in the preview of our album opener song, called “Bastion”. More than a year ago I received an e-mail from a person called Isabel Restrepo and which contained an offer to participate in an experimental project as a producer. …Originally, I was planned to be sound producer to bring my special avant-garde vision to the music and provide the quality, which differed my works from ocean of others. Since the project lacked a bassist, I overtook that position as well. The first 3 tracks originally belonged to Isabel’s previous band, “Horus” and were slightly revamped and rearranged by keyboards player Andres Silva, with whom she collaborated some years ago in a project named “Spiritual Ashes”. After mixing those tracks, where I only was involved as a bassist, we came to the idea of developing something more than just a couple of songs. 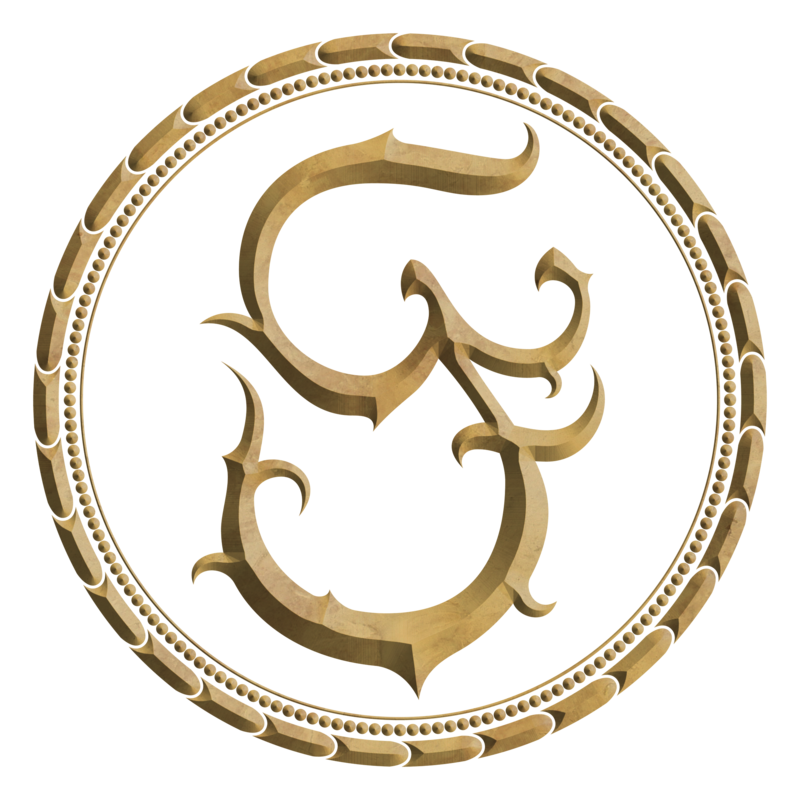 The idea of an album that would combine elements of metal, progressive rock, avant garde music and world music of various kinds came up. “Fabulae Dramatis” was born. To work on further songs, and to add more of different touches, we invited many incredible musicians from all over the world, playing various genres of music. About all of them you can read in more details in Fabaulae Dramatis’ official blog. To give more of my personality to the album, I eventually added parts of different instruments, played by myself, evolving from the project’s producer and bassist to guitar player (in addition to magnificant guitars played by Daniel Díaz), keyboards player and even singer, as my voice can be heard on such songs as “Vigil”, “Labyrinth”, “Ixquic” and “Bastion”. 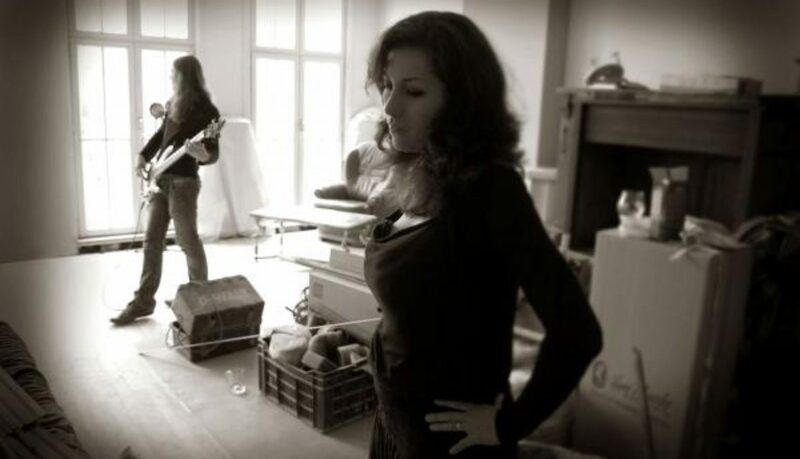 And of course, Isabel’s powerful voice, her touch of harmonium, sitar and her experiments with different vocal techniques fascinated me and I’m sure as a result, we will have an absolutely powerful and amazingly new, fresh musical piece. Add here an incredible art work designed by Marcela Bolívar and Carlos Jácome and you’ll get an outstanding album.